US release date yet to be announced. Marvelous’ Monster Hunter Stories for the Nintendo 3DS has a release date for Europe. As per Nintendo Europe, it will be out in the territory on September 8th. There’s still no release date for the United States but an announcement could be coming up soon. Developed by the studio behind Muramasa: Rebirth and Soul Sacrifice, Monster Hunter Stories is a lot different from typical games in the series. It combines Monster Hunter with Pokemon where you play as a Rider, stealing eggs, hatching them, riding them into the field and using them to fight. Combat is turn-based and you’ll be gaining XP and items. Capcom is also working on Monster Hunter World, an open world title that has faster combat and larger scope. It will be coming to the Xbox One, PS4 and PC in 2018. 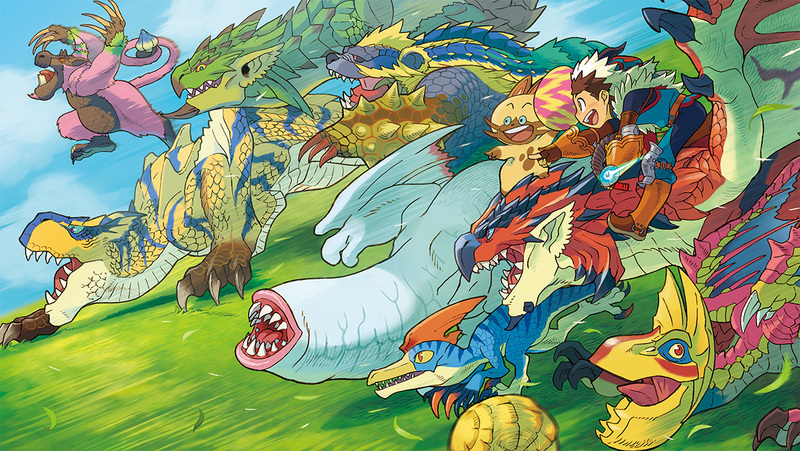 What are your thoughts on Monster Hunter Stories though? Let us know in the comments below.